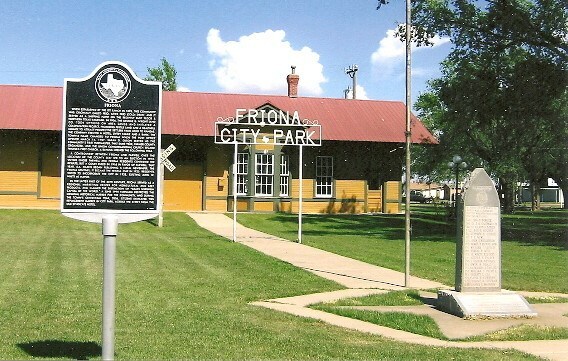 One of our favorite small Texas towns is Friona. We like Friona, because it is far away from congestion of a big city, yet not too far from Amarillo (a little over an hour), when we need what a bigger town has to offer. Friona is located on Highway 60 and Highway 214, which makes it easy to get to the rest of the state or to New Mexico very easily. One of the things we like about Friona is the low cost of living. Friona has a 25% lower cost of living than the rest of the country. You can find homes for an average price of $88,000 and rent is on the average of $525. Friona has very good schools and is considered a safe rural community. The economy is another thing we like. The major employers in the Friona area are agriculture and manufacturing. Texas has an 8% unemployment rate and Friona’s is only 4.4%. Job forecasts are good for the area with employment opportunities expected to rise during the next decade. Many of the ranches and farms are family owned and employ the majority of people in the area. While it is over an hour to Amarillo, the commute is easy because of the lack of traffic jams and the wide open highways found in the area. Though Friona is a small town, there are plenty of things to do in the area. If we want to play a round of golf, we can head over to the Friona Country Club on West 5th and take advantage of the 9 hole regulation course. We can also travel about 30 mile East to the Buffalo Lake National Wildlife Refuge. Once there, we can explore the natural grasslands and experience Texas like it was in the time of the buffalo. Friona is a quiet and safe town in the Panhandle and one of our favorite places to get away from it all.